Grosh's Grass Gazette - Sunshine and Summertime! Father's Day is Sunday, June 21. Summer is here, let us take care of your lawn and landscape needs so you can spend time with your family and friends! Butterflies are cold-blooded so make sure that you plant butterfly attracting plants in full sun so that the butterflies can warm up to fly. Contact Tom today to schedule a butterfly garden consultation. Take a look outside. Are these weeds taking over your lawn and landscape? 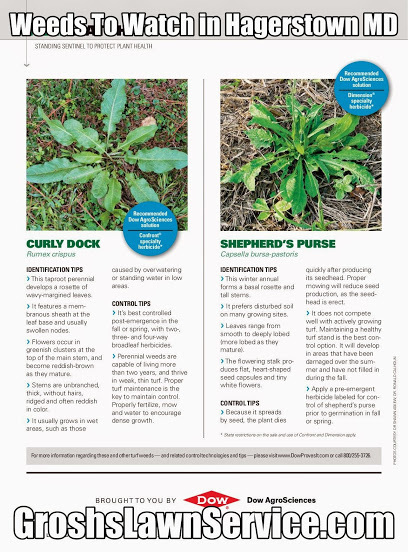 Do you have Curly Dock or Shepherd's Purse in your lawn or landscape beds? Contact Tom at GroshsLawnService.com today and see how our Turf Management Program can help make your life easier! One call an you will have it all - a green, healthy, lush, thriving lawn! Can homeowners really save money by mowing their own lawns? When it comes to lawn maintenance, homeowners have two options: hire a professional service or purchase all the needed equipment to mow and maintain it themselves. What most people don’t realize is that landscape professionals are more efficient than ever—and in most cases it’s a no-brainer for a homeowner to forgo buying all the needed equipment and supplies to mow and maintain their lawn themselves. After they buy a mower, edger, trimmer, blower, gas cans etc., and then factor their own time, it’s often more cost-effective to hire a professional. To learn more about the cost-effectiveness of professional lawn care, read the Green Industry article here. Contact Tom today to learn how professional lawn maintenance can benefit you and your family. 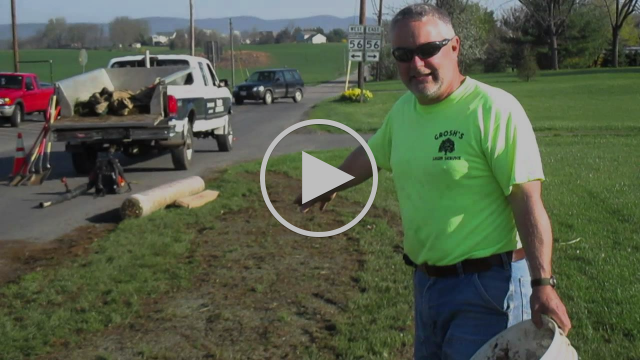 Would you like to have your lawn repaired or a new lawn installed? Contact Tom Grosh of Grosh's Lawn Service today. Tom's 25 years as a Master Landscaper will help with all the little things that get missed by others. Give Tom a call at 301-842-0062 or email him today to get a beautiful landscape that accents your home, raises your property value, and impresses your neighbors. Flowers are nature's way of rewarding you for caring for them! 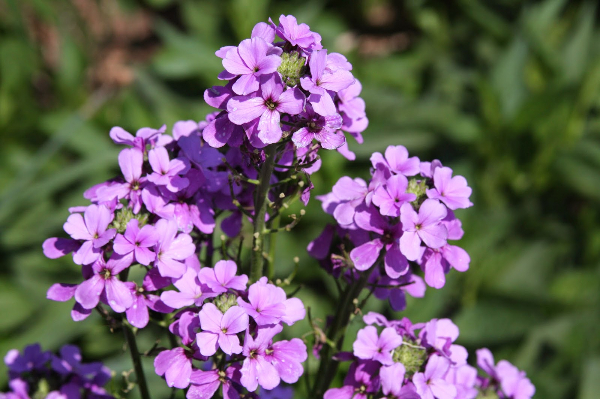 With proper care and planning, your perennial flowers will reward you year after year. When starting your flower garden, a soil sample is the best first step. Where are the flowers going, are you selecting the plants to accent a rock garden or pond? Are you selecting the plants to accent evergreens? Contact Tom today to schedule your free flower garden consultation and estimate at Tom@GroshsLawnService.com or 301-842-0062.